Replace all over the place, with one place! QualEpass is all you need for real-time management and checking of credentials, certs, training records, and inspections of both workers and equipment. All growing businesses run into the same fundamental problems. Managing employees’ credentials, checking contractors’ certificates, inductions for staff and contractors and access control headaches. QualEpass helps you stay in control and saves you time. 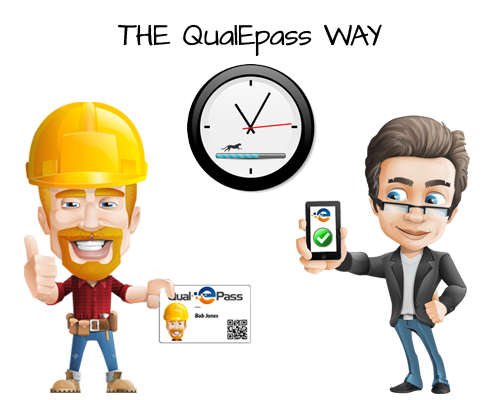 It’s fast, easy and accurate to check contractors certs in real time using QualEpass. Stop chasing contractors for certs, use QualEpass. 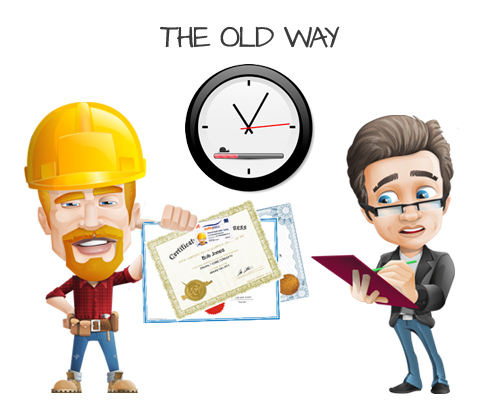 You can easily manage each employees certificates and credentials using our web or mobile apps, saving you valuable time. We can convert your content into high impact, effective and branded online inductions for your staff and contractors. QualEpass was created with you in mind. 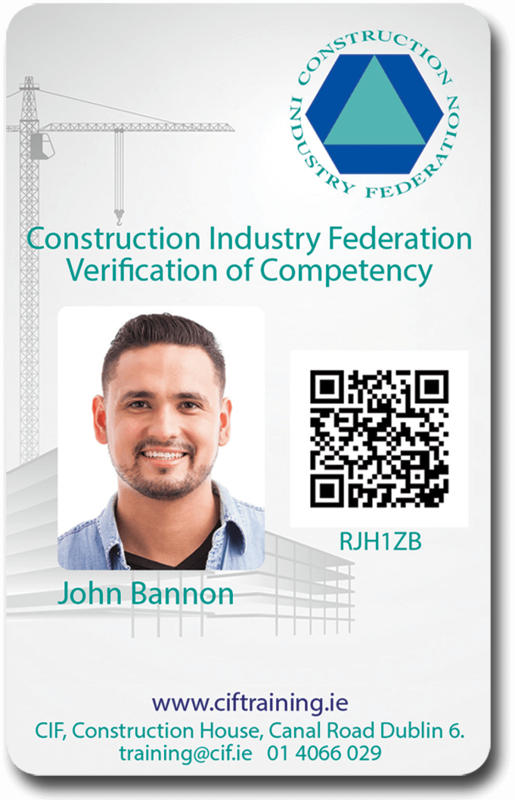 It was built from the ground up to address the challenges of managing and checking workers credentials, as well as the difficulties of contractor management. 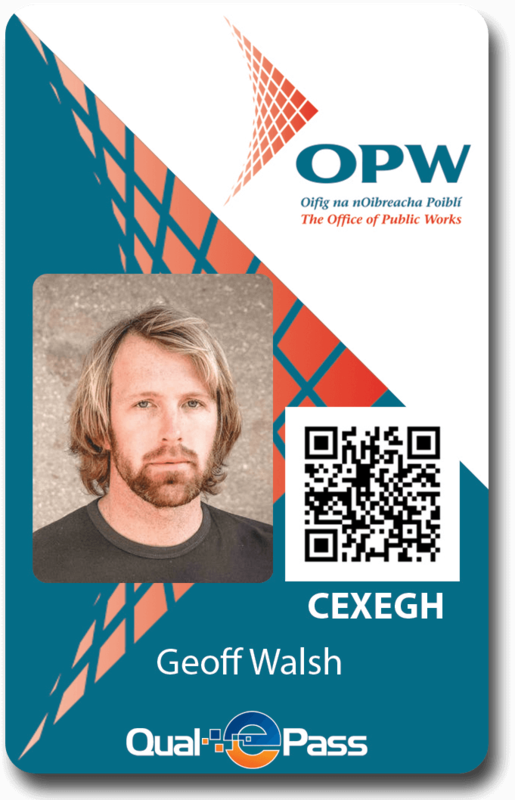 That’s why CIF and OPW chose QualEpass, and trust us with their Credential Management. With fines, heavy penalties or worse you know how important it is to stay compliant with regulations. 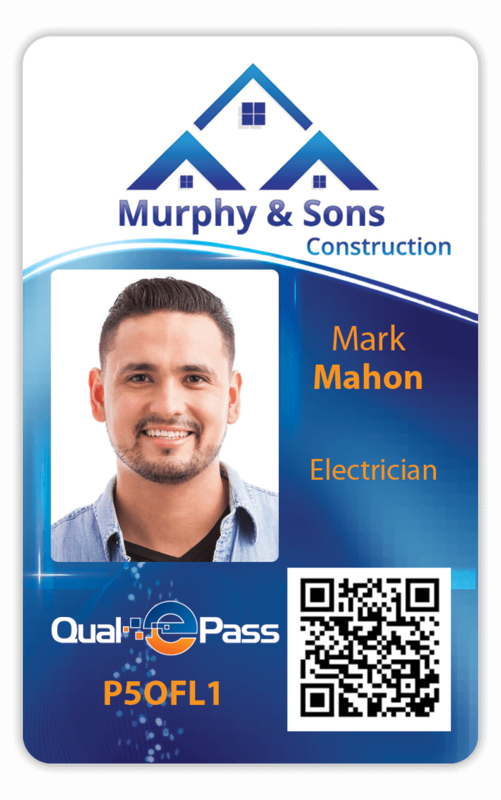 With QualEpass you will always know the status of your employees’ credentials and be able to check the certs of any contractor working for you. It’s fast and easy, online and in real time. Ready To Get Started with QualEpass?